Do you have a country rustic themed party coming up? Maybe a wedding or graduation? 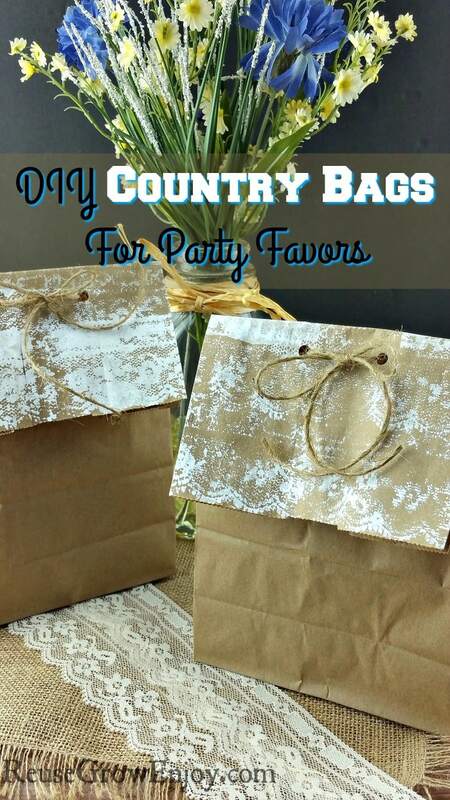 If so, I have DIY country bags for party favors you may want to check out. 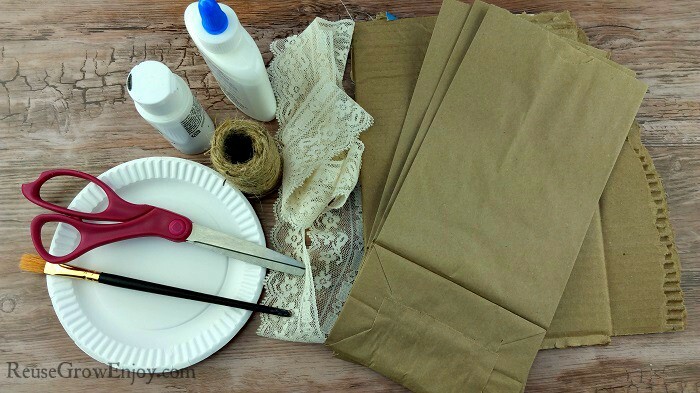 You can use a small piece of lace or lace trim and use it as a stencil on paper bags. These would be cute stuffed with any kind of goodies or party favors. I also think these would be super cute way to pack with some soil and seeds and give as gifts. Then they could plant the whole bag and have pretty flowers to remember the day! First, you want to cut the lace just slightly wider than your bag. If you have wide lace you only need one piece. If you are using a lace trim like I am, you will need to cut two pieces. 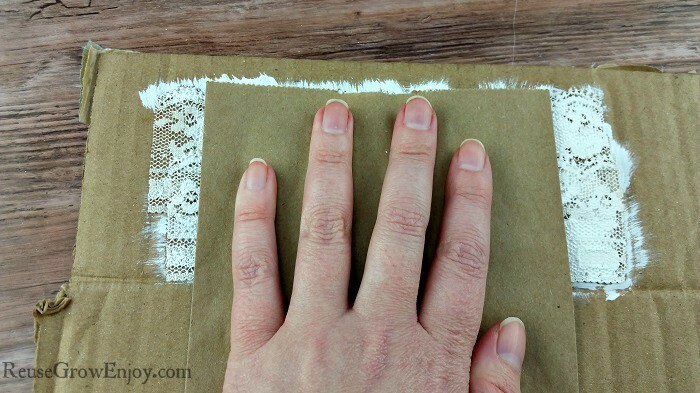 Next, using the school glue, attach the lace to the cardboard. If using two pieces, slightly overlap them. Set aside and allow to fully dry. After the lace is attached to the cardboard and is dry, it is time to coat in paint. 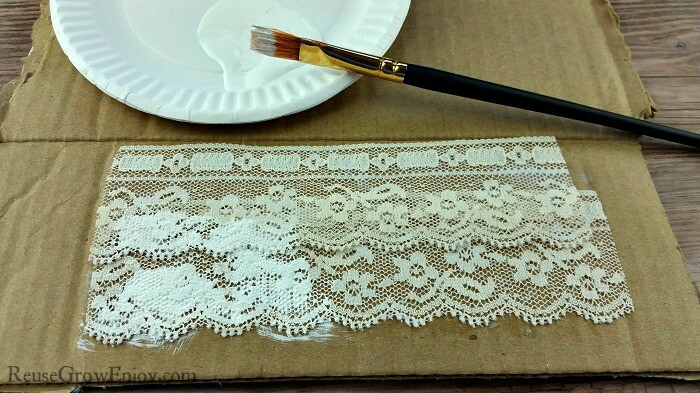 Using the paint brush, fully cover the lace in white paint. Now turn the waved edge so that it is away from you. Take the end of the bag where it opens and lay it down on the lace. Give it a nice firm push down so that all of the lace makes an imprint onto the bag. 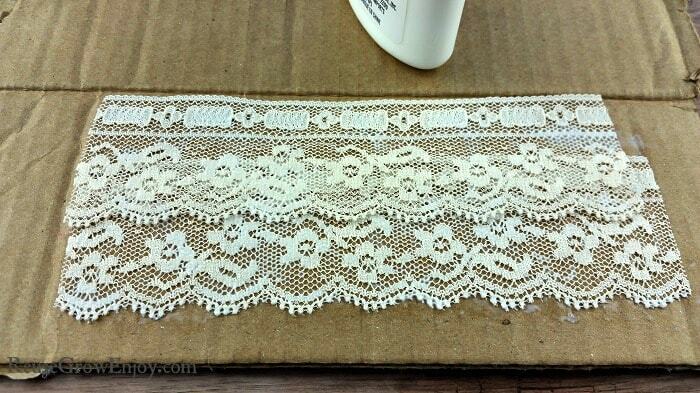 Then remove the bag from the lace and allow it to fully dry. 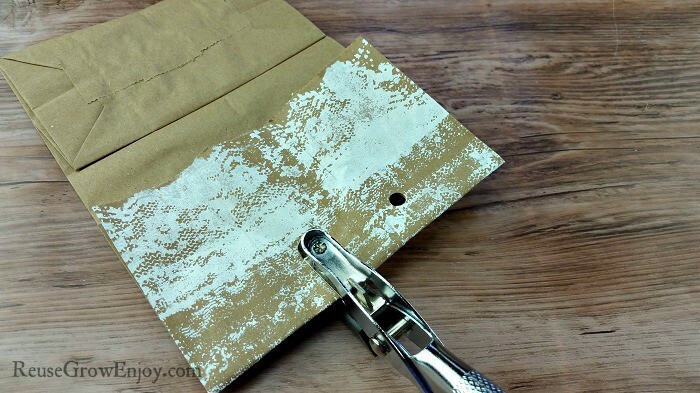 After the paint is dry, fold over the end of the bag so that the paint side is out. Fold it just before the paint ends. 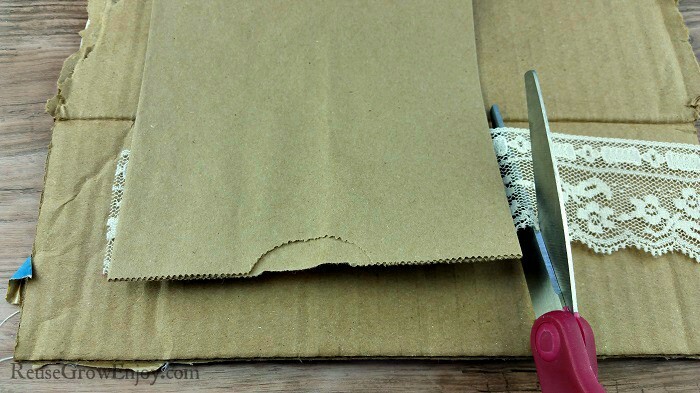 Then using the hole punch, give it two punches in the center of the bag just slightly below the fold. Now you can pack the bag with whatever goodies you want to put in it. Then fold the top back over. Cut a piece of twine and run it through both holes so that it ties in the front where the white lace paint is. That is it! You now have some super cute country bags for favors! If you liked this craft, here are a few others to check out.